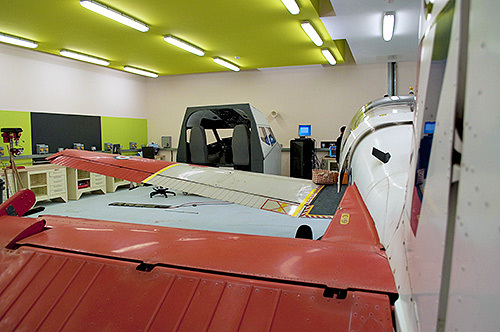 A renowned Scottish College purchases an FSC Flight Simulator for its Aeronautical Engineering courses. Ayr College's Aeronautical Engineering Department recently signed an agreement with Loganair, a major Scotland Airline, to train apprentices. Also, the College just opened doors to a new 1.700.000 £ dedicated structure to house its Aeronautical Courses. Alastair Heron, Curriculum Manager for Engineering, Mathematics and Science course, said "we are proud to welcome Loganair at Ayr College. 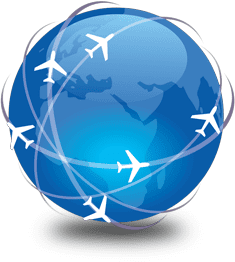 Loganair contacted us thanks to the word of mouth spreading thanks to the high quality of our educational offer". Thanks to the high level of customization we offer to our customers, the College could purchase a tailor-made B737NG Simulator System, that suits perfectly the needs of the Aeronautical Engineering courses. 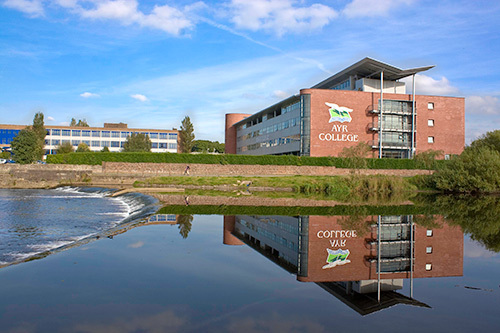 Despite having only purchased the Cockpit, a reduced PC system and Project Magenta Software licenses, even without the graphical simulation system, Ayr College can now have a valuable teaching tool. Thanks to the Hardware/Software custom configuration solution provided by our technicians, the System is fully functional and represents a perfect way to learn how flight instruments work on a perfectly close-to-reality working model. Gordon, the Aeronautical Engineering teacher, who is at the head of the project, was really enthusiastic about the quality of the System and Simulation realism.